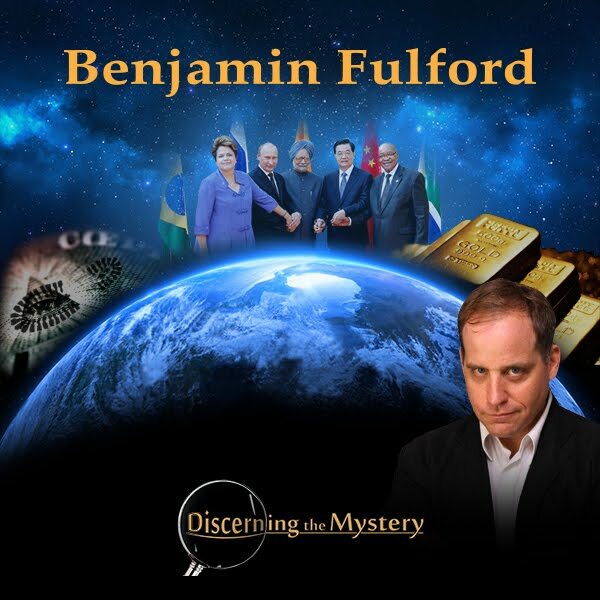 Discerning the Mystery: Benjamin Fulford – Update for February 8 - "First meeting between Pope and Russian Patriarch in 1000 years aimed at Khazarian Satanists"
Benjamin Fulford – Update for February 8 - "First meeting between Pope and Russian Patriarch in 1000 years aimed at Khazarian Satanists"
The first meeting between the head of the Russian Orthodox Church and the Pope in 1000 years is aimed at cementing an alliance against the Satan worshipping Khazarian mob, Russian and Pentagon sources say. This is important because forensic research by this writer has shown the Pentagon ultimately reports to the Roman Empire (as publicly headed by the Pope) and the power behind Russian President Vladimir Putin is the Russian Orthodox Church. “Patriarch Kirill of the Russian Orthodox Church agrees to meet the Pope in Cuba on Feb 12 as East-West unite to fight [the Khazarian mafia],” was how a Pentagon official described the planned meeting. Rockefeller stooge Henry Kissinger was “forced to accept a multipolar world and declare Russia not a threat but essential partner,” the official continued. In any case, the Russian/US alliance against the Khazarian mafia is producing many results, especially in the Middle East. Khazarian top level mobster German Chancellor (and Hitler daughter) Angela Merkel is flying today (February 8th) to visit embattled Khazarian Satanist Turkish President Recep Erdogan following major defeats of their proxy armies in Syria. Both leaders are being targeted for removal, according to Pentagon sources. Somebody should tell them their fuhrer Bush is no longer in control and that surrender is their only option. Furthermore, Saudi Arabia, in a bow to Russia as the new power broker in the Middle East, arrested 33 ISIS supporters, including 9 American CIA agents, based on Russian intelligence tips, multiple sources agree. This makes it likely the Saudis will soon follow Iran and Russia in a move to stop selling their oil in Khazarian controlled so-called US dollars. There are also reports Saudi Arabia has begun dumping its $8 trillion in US Treasury bond holdings. Many Saudis interpreted snow falling on Mecca as a sign from Allah that they were on the wrong path, which may explain their sudden change of tone. Pentagon officials confirm that Russian Intelligence ties in the Middle East now include the United Arab Emirates, Jordan and Egypt. Israel, facing a global boycott and UN sanctions, is also now bowing to the Russians. This means that, if Saudi Arabia also leaves, as it seems to be doing, Turkey will be alone and will face disaster and partition as a result of Erdogan’s stupid attempt to use military force to recreate the Ottoman Empire. Already, 1300 Turkish hotels have been put into bankruptcy sale by the drop in tourists and severe fighting has erupted inside Turkey. Also, in an exclusive to this news-letter, Indonesian officials are reporting that 4000 armed terrorists financed by Khazarian mobster George Soros were detained in the Indonesian portion of Borneo Island. The group was headed by an individual who spent 5 years in an Indonesian prison after which he was sent to the US for “special training,” the officials said. When he returned, “he used funding from an NGO financed by George Soros” to set up and arm a “Muslim fundamentalist” militia called Gothatar. “They went to where the richest uranium ore deposit on the planet is and put a huge encampment around that village,” a local Indonesian official said. “The uranium was flown out by French special forces,” he added. According to buried documents uncovered by Indonesian officials, the group was supposed to create chaos in Indonesia, a country with a population of 250 million mostly Muslim people. In a further development, the Indonesian government has formally refused to renew the license of the giant Freeport-McMoRan gold mine in Indonesia. According to a CIA official in Indonesia, this decision stems from a visit to Washington in October by Indonesian President Joko Widodo where US Presidential Spokesperson Barack Obama demanded that he renew the mine’s license. As a result, Widodo, or Jokowi as he is known, cut his visit short to a few hours and flew back to Indonesia. The return of the mine to Indonesia has repercussions beyond the loss of gold because of the secret submarine base located there, CIA and Pentagon officials say. The gold is now going to be used to finance Chinese led infrastructure development projects. However, in an effort to stave off a military confrontation with the US, the Indonesians have offered the Americans a chance to develop one of the richest platinum and gold deposits on the planet, located on the North East end of Kalimantan, the Indonesian controlled part of Borneo. The deposit is so rich that Platinum is found “not in grams per ton but in percent per ton,” the CIA officer said. “The Platinum industry is untouchable because Platinum is used for off-world projects,” he said. The Americans are also being offered the chance to develop a new port and submarine base there, he said. The Americans are interested and will be sending a delegation soon to confirm the nature of these mineral deposits, he said. In any case, the loss of the Freeport-McMoRan gold mine is another huge blow to the Khazarian mafia banks and their hedge funds. The Khazarian banks and hedge funds are already collapsing due to the loss of oil money and drug money. The fact that medical Marijuana is now legal in all 50 US States is a sign of how much drug money they are losing. The Khazarian hedge funds also recently faced huge losses when they tried to gang up and force a devaluation of the now rising Chinese Yuan. They were betting on a cooling China and hoping to force China into submission by setting off capital flight. Instead, it turns out that the drop in the price of China’s commodity and other imports has more than offset any fall in exports of trinkets to the US and Europe and so China’s trade surplus is growing. Khazarian mafia hedge funds like Vanguard, Carlyle, Blackstone and others held an emergency meeting last week to discuss their huge losses. This meeting was followed by an admission by Goldman Sachs, the “vampire squid,” that “broader questions about the efficiency of capitalism” need to be asked. In other words, they were saying the system may be broken. However, it is probably more accurate to say that it is Citibank and its fellow Khazarian mob institutions that are trapped in a death spiral. The fact that a growing number of bonds in Khazarian controlled financial systems like Japan and the EU are offering negative interest rates means capital flight from these economies. No sensible investor is going to keep funds in bonds that lose value. The excuse that this will promote investment is not fooling anybody. It is a death spiral, pure and simple. Now that the Chinese New Year of the fire monkey has officially begun, we can expect plenty of new developments coming from China. Perhaps in anticipation of this, the North Koreans set off a missile last week. This was followed by South Korean, US and Japanese announcements of a super new missile defense system to “protect against North Korea.” Nobody in the world intelligence community is being fooled by this charade. What this really means is that Japan is using its proxy North Korea to announce it has inter-continental ballistic missiles equipped with hydrogen bonds. Furthermore, by announcing it has anti-missile defense against these “North Korean missiles,” it is sending a message to Russia and China that it can stop their missiles. The Chinese are putting out the word that the US troops based in Japan would never seriously take on China to defend Japan. However, that is not true because the Americans know that if they do not defend Japan and Korea against China, it will not be long before they find themselves defending Alaska and then the US mainland against China. Fortunately, the Chinese have not the slightest intention of attacking Korea, Japan the United States or anywhere else. Instead, they are busy building factories, schools, roads, hospitals, ports etc. all over the world. At the same time, they are backing their currency with gold and other things that exist in the real world. They know that time is on their side and that war is the dumbest option available to them. In a final note, two US military officials, one based in Japan and one in the US, contacted the White Dragon Society last week. The discussions centered on how to carry out a jubilee in Japan and the US. The WDS recommended confiscating all funds stolen by Khazarian mobsters and returning them to the people. This would mean about $100,000 for every man woman and child in Japan and about $400,000 for each American ( the Americans have been suffering from Khazarian looting longer than the Japanese which is why more is due to them). Also recommended was a write off of debt and redistribution of urban as well as rural property.